We’ve talked about InMotion Hosting before - not necessarily for their service, but for the excellent quality of their sister company, Web Hosting Hub, who I also like. InMotion is one of the biggest names in Web hosting, but are they right for you? I know how hard it can be to find the best site for your site, so I’ve pulled out the information you need to know to make the best decision. Let me tell you, though — InMotion Hosting is one you’ll want to consider. Since 2001, InMotion Hosting has worked to provide their customers with fast, reliable, and affordable Web hosting. They have more than 300,000 domains and have received 3 of 3 stars with CNET since 2003. The company has locations in both Los Angeles and Virginia Beach — coincidentally, also the sites of their two fully redundant, climate-controlled data centers. InMotion's founders Todd Robinson and Sunil Saxena found that the key to their excellent customer service is the outstanding employee environment. Web hosting specialists at InMotion have at least four years of professional hosting experience, and the support staff attend and pass a 160-hour training course. They are led by a management team with more than 10 years, each, working in the industry. The company’s more than 200 employees are treated to a variety of benefits, and enjoy their work, a fact that shines through whenever you call the company. SSD for each and every plan increases speeds, and high-quality servers provide fast, reliable service for businesses and Web site of all types. InMotion Hosting uses cPanel, the industry’s most widely recognized and utilized control panel. Their packages include professional Web site transfer with absolutely no downtime while moving your site. 90-day money back guarantee, which is the longest in the industry. Award-winning customer service through phone chat, live chat, and e-mail. They also run an extensive online tutorial database, as well as a community-based question and answer forum where customers can learn more about their situation. As long as the question is asked during extended business hours Monday through Friday, the company guarantees an answer in the community forum within 60 minutes. Many different offerings for plans and packages, with a variety of hosting capabilities, like shared, VPS, and dedicated, as well as reseller accounts. They also offer app-based plans, like WordPress hosting, and plans for affiliate and students. InMotion Hosting provides a wide variety of packages for hosting, with shared, VPS and dedicated hosting, as well as plans for resellers. They also offer managed hosting packages. It’s important to remember with InMotion Hosting that they are a more advanced company that provides services and packages geared toward individuals and customers with more experience. Their sister company Web Hosting Hub, is focused on providing hosting for beginners and bloggers. Shared, VPS, or Dedicated Hosting? The company offers all three options for customers who are looking for packages of all sides. The SSD VPS hosting comes with three separate plans — all of which offer SSD servers, operating system security patches, and unlocked CPU cores, which means higher speeds and better performance. The lowest two plans include two IP addresses. The smallest offers 4GB of RAM, 60GB of storage and 2TB of bandwidth. The middle plan, their best value, increases to 6GB of RAM, 130GB of storage and 3TB of bandwidth. Customers choosing the largest package will experience the highest performance, with 8GB of RAM, 200GB of storage and 4TB of bandwidth for three IP addresses. Each plan includes a full cPanel license as well as a free domain for six and 12-month plans. For truly private servers, InMotion Hosting runs single and double-processor Linux dedicated servers with free SSDs on each machine. The plans include the operating system and cPanel security patches and updates and offers a two-hour hardware replacement. All servers are Intel Xeon, with Turbo 4C/8T. Each plan includes backup drives and starts at 6TB of data transfer, 8GB of RAM, 1TB 7.2L SATA and 5 IPs. Plans increase to the most expensive, which offers 15IPs, 10TB data transfer, and 32GB RAM. This plan also includes a free 2TB SATA backup. Larger companies will be impressed with the commercial class contracts, which also include free SSD and more in-depth services that provide speed and security. Shared Hosting: Launch, Power, or Pro Plan? InMotion Hosting has three plans for their shared business hosting. The plans are ideal for database-driven content management systems on static sites. Each plan includes a solid-state drive, something that most other hosts add on for an additional fee. All three plans also include unlimited disk space, unlimited monthly transfer, free data backups, and SPAM Safe Email with IMAP. All customers get not only a free domain registration or transfer but also a free Web site transfer that is done in such a way that your site will never experience any downtime. The Launch plan, which starts at $6.99 per month, often comes down with a longer contract, with prices as low as $4.89 each month. Launch customers get six parked domains, 25 subdomains, and two MySQL and PostgreSQL databases, with the ability to host two Web sites on the account. Their highest-capacity plan, the Pro, offers an enormous amount of flexibility and capabilities. The plan includes unlimited databases, unlimited sites, unlimited parked and subdomains, and a higher level of customer support. Typically, plans start at about $15.99 each month, but sales and plans can bring the price down to as low as $10.49 a month. In between those two plans is the Power plan, their most popular option, which offers customers 26 parked domains, 100 subdomains, 50 MySQL and PostgreSQL databases and up to six Web sites on the account, for $8.99 a month, or, with specials, $6.29 a month. The WordPress plan offered by InMotion Hosting is well-done, and I think that if you have even a little bit of experience, you would benefit from the offerings. They offer three different packages for individuals and customers of all levels of experience and expertise. The three plans piggyback off of the shared plans offered by InMotion Hosting. This means that customers receive benefits available on the shared hosting plan for only slightly more each month, but also have access to BoldGrid to help customers design the site of their dreams. It’s easy to use, offers a variety of integrations, and once the site has been installed by InMotion Hosting, includes free backups. These aren’t truly 100 percent managed WordPress hosting plans, but bring in many of the elements. If you’re looking for an easy-to-use platform to build a WordPress site, their plans might be worth it. WordPress masters, though, might find that they prefer to save the less-than-a-dollar a month and build their own site from scratch. InMotion Hosting offers 99.9 percent uptime, guaranteeing your reliability and consistency whether you choose the Los Angeles or Virginia data center. In both centers, customers receive a carrier-grade network core, as well as BGP route optimization, multiple layers of redundancy, and 20GB of connectivity over a 10GB Ethernet connection. For you, this means your site has multiple levels of connection to keep your site up and running no matter what may occur. 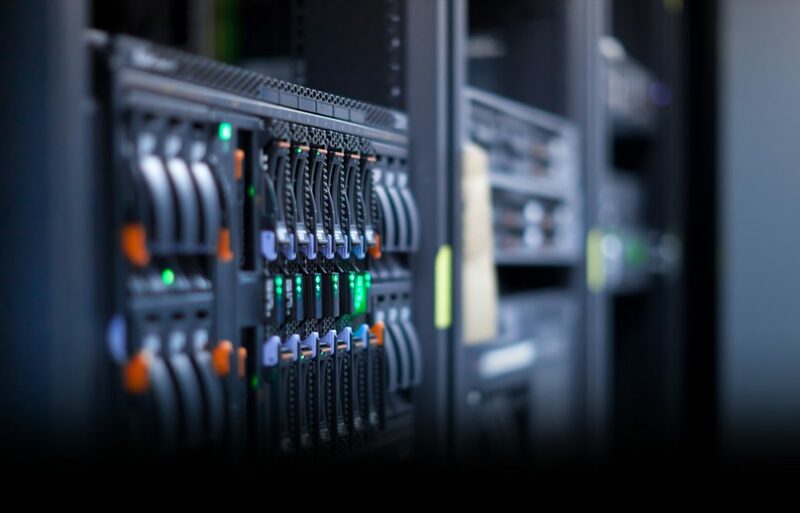 InMotion hosting also has a dedicated management network that gives their specialists a speedy way to address any network incidents that may affect your site’s connection. I’ve seen reliable uptime with InMotion Hosting, and have been impressed with both their speed and their response times. InMotion Hosting offers more than 310 app through their application installer. From WordPress and Open Blog to Drupal and Joomla, they have made tools for blogging, CMS platforms, and online shopping carts, among many others, available and accessible to their customers. I think this is a great option, because it increases your site’s functionality and performance while making things easy for you. InMotion Hosting offers one-click installation for the leading shopping cart apps, like PrestaShop, Open Cart and Magento. This means that whether you want to sell your products online, start collecting online payments, or offer a service that can be paid for over the Internet, your platform can be up and running in a matter of minutes, getting your site ready to go and your shopping cart ready for business. As your site grows, you might notice some slowing or inconsistencies due to traffic. When your site is a vital, integral part of your day-to-day business, it’s important to make sure that the site is up and running all the time. The 99.9 percent uptime guarantee is one part, but making sure that your server can handle your traffic is an even larger component. If you’re on a business-class shared server, the next step will be to take advantage of the company’s VPS plans; after that, a dedicated server will be able to help you. Upgrading your server will allow you to run more resource-heavy applications because you’ll have a stronger connection to the server itself. You never need to worry about traffic, and scalability. InMotion Hosting has been well-recognized for their responsive, timely customer support. They offer multiple avenues to connect with a technician: e-mail, phone, and live chat. InMotion Hosting also has a thorough database of tutorials, as well as a community forum to answer questions. I’ve been impressed with the performance of InMotion Hosting. They are a solid, reliable company that offer no-frills packages, with the pertinent functionalities directly included, and a number of pertinent features, like SSD, backups, and more, included and built right into the packages. InMotion Hosting has integrated cPanel, the Internet’s most frequently used control panel. You won’t need to learn a new system when you move your site to InMotion Hosting. The transition will be seamless, and you won’t lose any operation time studying and re-learning a new control panel. cPanel is extremely easy to use. All of the functionality you need for your site management is right at your fingertips and is fairly self-explanatory if you are new to cPanel. Integrations can be found quickly. InMotion Hosting has placed their app installer, with more than 310 different application availabilities, directly in the cPanel menu. InMotion Hosting offers one of the longest money-back guarantees in the industry, allowing customers to cancel VPS, shared, and reseller hosting plans within 90 days for a full refund, minus any outside fees. These fees can include domain registration or licensing costs that are paid to other companies. Dedicate servers and VPS plans billed monthly are eligible for a full refund within the first 30 days. This means that no matter which package you choose; you have enough time to decide if the service is right for you. For customers on the Pro plan, with almost unlimited components, InMotion Hosting has created a separate guarantee — if a Web site on a Pro account isn’t coming back with a 99.9 percent uptime, they will credit the account with free hosting. Most companies charge a fee for backups, including big hosting providers like BlueHost — but not InMotion Hosting. While they have created an efficient backup tool, they also automatically save your shared environment. They provide a full backup of shared content when required. Once every four months, they will back up your site data over an SSL encrypted connection. This is limited to sites under 10GB. InMotion Hosting does limit each plan to the number of databases — which means the number of sites is limited. Customers who want to host more sites need to upgrade their plans to make sure they are getting the quantity of sites they need to operate their business. Don’t Be Worried About Security; You Are Secured! The company has taken many steps to ensure Web site security. In addition to their free automatic backups, InMotion Hosting has designed a quick backup tool that saves the entire site, including the databases, e-mails, and files. They’ve also made it easy to update your software and plugins or extensions, which helps to incorporate new security patches. Everything about InMotion Hosting is extremely user-friendly. While the plans were not designed specifically for beginners, they have added in-depth, step-by-step functionalities that help users get results. What does free site transfer mean for your Web site? This feature, which InMotion Hosting prides itself on the offering, means that when you transfer your host, you'll get professional support and no downtime. Your site is transferred to a temporary platform, where you can review the content to ensure that all of the data is intact, and then the InMotion Hosting professionals will make your site live. Your transfer will be done quickly and accurately, and is applied to site transfer with no more than three cPanel accounts, databases or Web sites. If you have more than three sites, InMotion Hosting charges $10 to transfer the additional site to their server. For the past 10 years, InMotion Hosting has received 3 of 3 stars from CNET, a technology publication that provides reviews and information so that consumers can be sure they are making a solid purchase. The reviews are completely unbiased, allowing customers to get an accurate picture of what is available. The three-star review given to InMotion Hosting is a reflection of their dedication to giving their customers the best service possible. An A+ rating from the Better Business Bureau is one of the highest marks a company can earn, showing that they excel in their industry. Companies with an A+ rating have shown their commitment to giving their customers the best possible care, resolving their complaints and acting above-board and ethically in their decisions. InMotion Hosting has earned and maintained this certification due to its ability to respond to any complaints and the length of time it’s been operating. With Google’s platforms like Gmail and other apps becoming so highly utilized in the industry, InMotion Hosting has found a way for companies to incorporate their existing accounts, quickly and seamlessly, into their site. The three-step set-up wizard is easily accessible in the cPanel. It took me only 2 minutes to setup the test site I did while reviewing them. The Google integration is among more than 310 other applications for businesses, bloggers, and customer management. They also include a roll-back that will safely re-install a previous version of your application without damaging any other connected components, a valuable tool when an app breaks a plugin. ● SSD is standard in every package. I love knowing that the company is dedicated to giving their customers the fastest speed technology available — I love even more the fact that it’s not an additional fee each month. ● InMotion Hosting has exceptional customer service. I found the reps are all knowledgeable, friendly, and care about each customer’s experience. ● Free data backup. I have great peace of mind knowing that if anything happens, InMotion Hosting has included data backup as a standard component of all of their hosting packages. ● The longest money-back guarantee in the industry. A 90-day full refund on most packages, a money-back guarantee after the 90-day trial refund, and an easy-to-use cancellation system means that customers can feel confident in switching to InMotion Hosting. ● Prompt customer service with representatives who don’t try to upsell you. ● Slightly more expensive than other hosts — but you do get what you pay for with their extras. The unlimited plans are a tad bit pricier than similar shared hosting providers. ● They don’t run on Windows servers. ● While there is integration between their add-on services and the customer accounts, customers still need to create their own log-in information for each separate service, which I found as a hassle for customers. ● InMotion Hosting requires a one-year minimum contract; you can go with them month by month. ● Unlimited isn't actually unlimited, which is also true for most other providers. They aren't completely unmetered, and there are some restrictions, designed to optimize server performance. They have pretty wide parameters, but no, they aren’t 100 percent unlimited. InMotion Hosting provides a solid, reliable service, at a very fair price. They aren’t a budget host, but they also don’t have excessively high fees, even though they have a very high-quality product. If you want to start strong, or are looking to grow your site without thinking of hosting capability at the scaling stage, I definitely suggest looking at InMotion Hosting. If you are in pursuit of an established and proven Hosting Provider, InMotion fills the void perfectly. Being around the hosting circuit for 15 years, InMotion has evolved through time to provide the best possible customer care for its users and a lot more. The Customer Care is a plus as I earlier stated. You’ll have to wait a bit when in line but that is okay. Peers of InMotion make you hold on a lot longer. When it comes to uptime, InMotion serves well with 99.99% Also; the hosting service has never had a major breakdown. The control panel LOOKS BASIC, but it isn’t. In fact, it is flexible. The cool thing is that you can upgrade various services (including from shared to VPS hosting) from the cPanel. Another thing I find useful is the Free to Avail Data Backup service. InMotion offers it for free. It has 90 days of money back guarantee. No matter where you look, it is the most. Also, you can customize various price levels of its services.